Shop online for 134 gas station at discounts up to 59%. JL Innovative Design is ranked #1 out of 29 gas station manufacturers, followed by Bachmann, and Model Power. 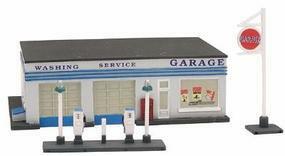 This is an HO Scale Gas Station made by Bachmann. 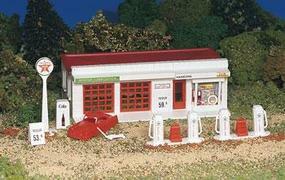 This Woodland Scenics Scenic Details Kit Contains A Gas Station That Can Be Used On Any HO Scale Model Layout. 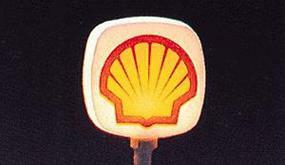 This is the HO Scale Shell Gas Station Signs pkg(2) from Model Power. This is the N Scale IMEX Perma-Scene Gas Station. Ideal for Dioramas and N Railroad. This is the Gas Station Interior Equipment & Tool Detail Set Model Railroad Building Accessory HO Scale by JL Innovative Design. This is the 1930's-1950's Vintage Shell Gas Station Posters/Signs (92) Model Railroad Billboard in HO Scale by JL Innovative Design. This is the Deluxe Gas Station Interior Detail Set (18) Model Railroad Building Accessory HO Scale by JL Innovative Design. This is the O Scale All-American Gas Station Laser-Cut Wood Kit (4-1/2 x 3 x 4'') from American Model Builders. 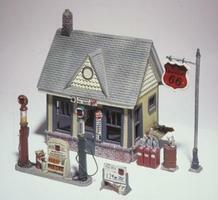 This is the Gas Station Set Post 1940's Set Model Railroad Building Accessory HO Scale by JL Innovative Design. This is the Gas Station & Oil Posters and Signs 1940's and 1950's (41) Kit Model Railroad Billboards in HO Scale by JL Innovative Design. This is the HO Scale Gulf Gas Station Signs pkg(2) from Model Power. This is an N Scale Gas Station made by Bachmann. This is the Vintage Texaco Gas Station Curb Signs (3) Model Railroad Billboard in HO Scale by JL Innovative Design. This is a 1/24 Scale Joe's Power Plus Service Station from Academy Models. Suitable for Ages 14 & Older. This is the 1930's-1950's Vintage Texaco Gas Station Posters/Signs (82) Model Railroad Billboard in HO Scale by JL Innovative Design. This is the Vintage Quaker State Gas Station Curb Signs (3) Model Railroad Billboard in HO Scale by JL Innovative Design. This is the 1940s-1950s Vintage Gas Station Signs Esso (52) Kit Model Railroad Billboard HO Scale by JL Innovative Design. This is the Vintage Shell Gas Station Curb Signs (3) Model Railroad Billboard in HO Scale by JL Innovative Design. This is the Gas Station Barrels Red (5) Model Railroad Building Accessory HO Scale by JL Innovative Design. This is the Ultimate Custom Detail Set Sinclair Gas Station Model Railroad Building Accessory HO Scale by JL Innovative Design.